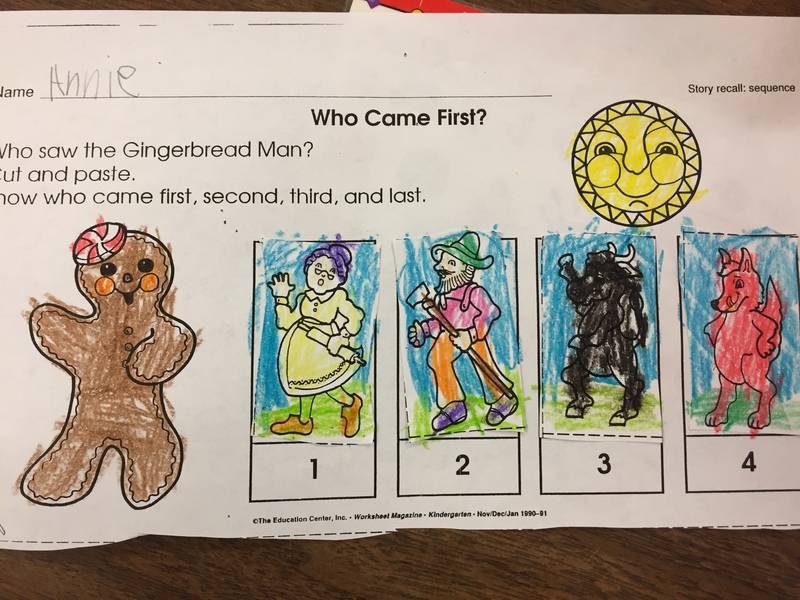 Escape of the Gingerbread Men! 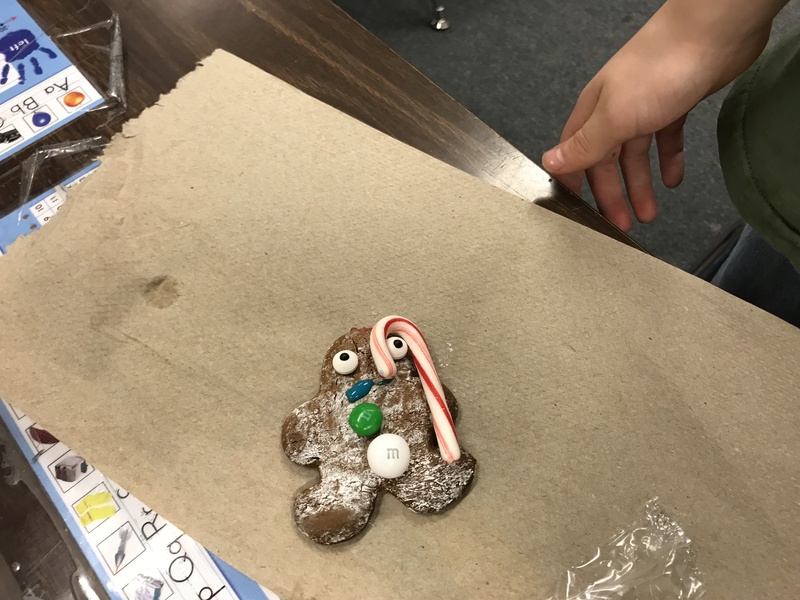 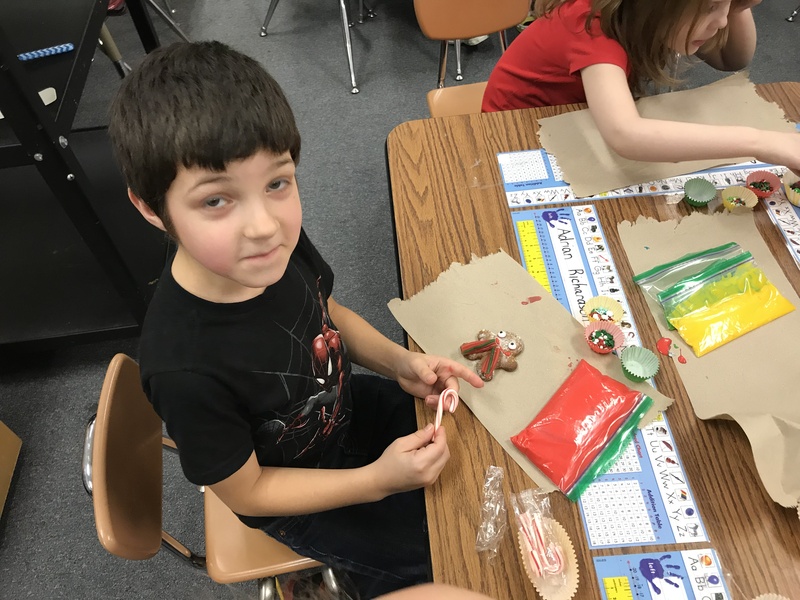 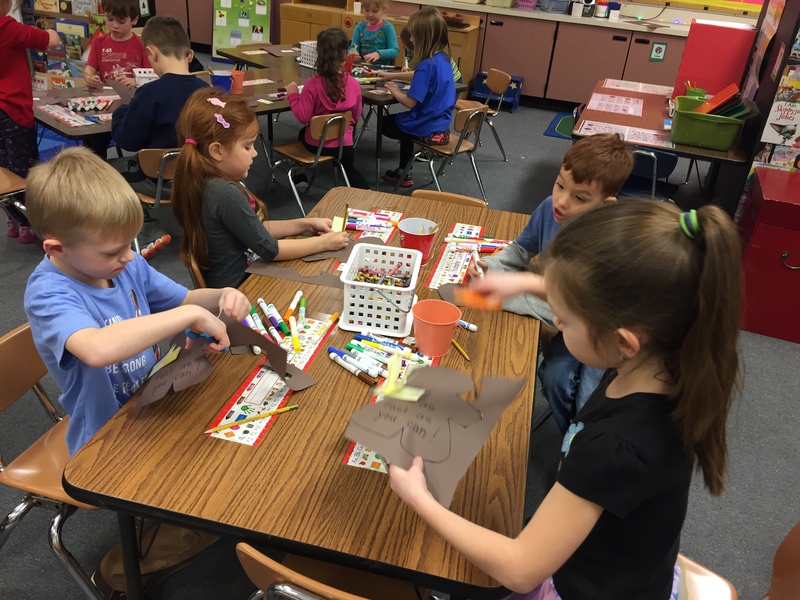 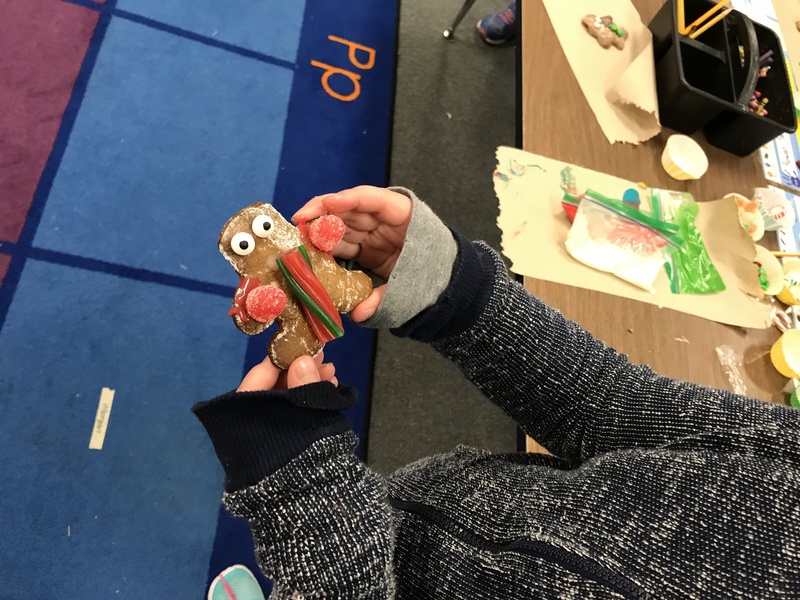 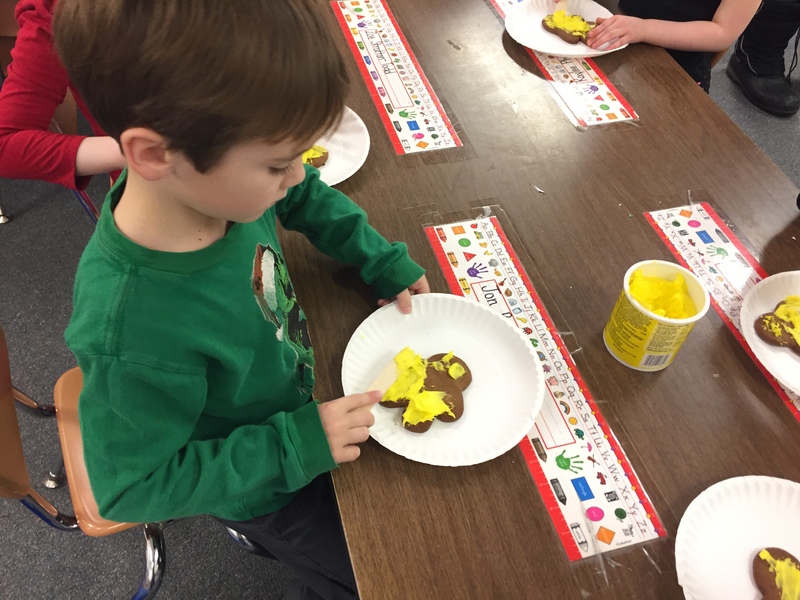 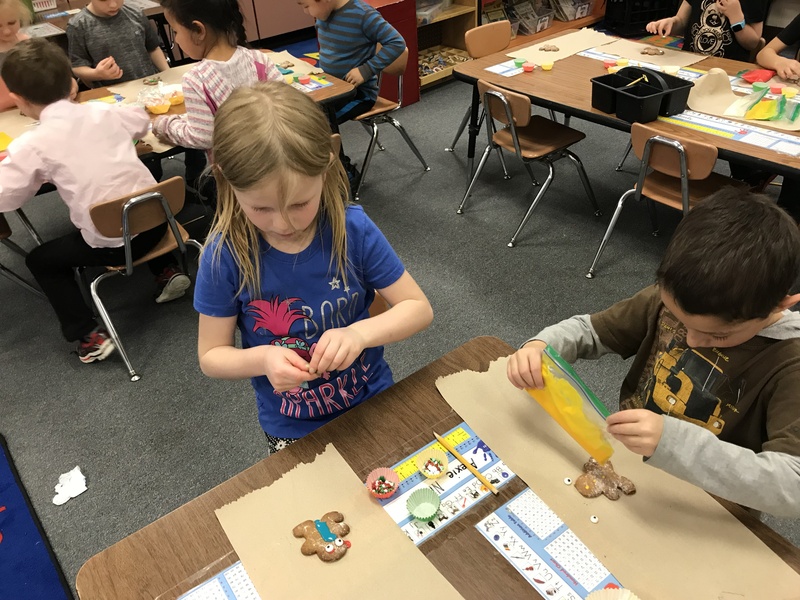 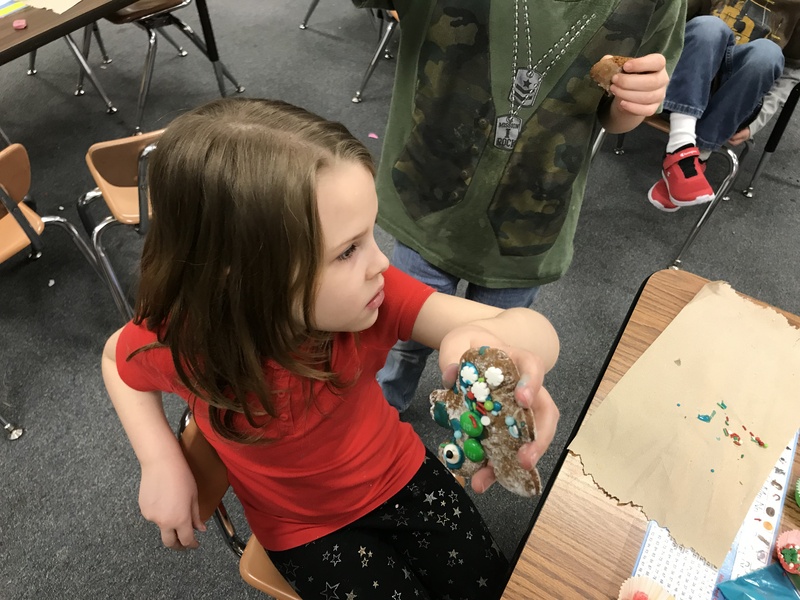 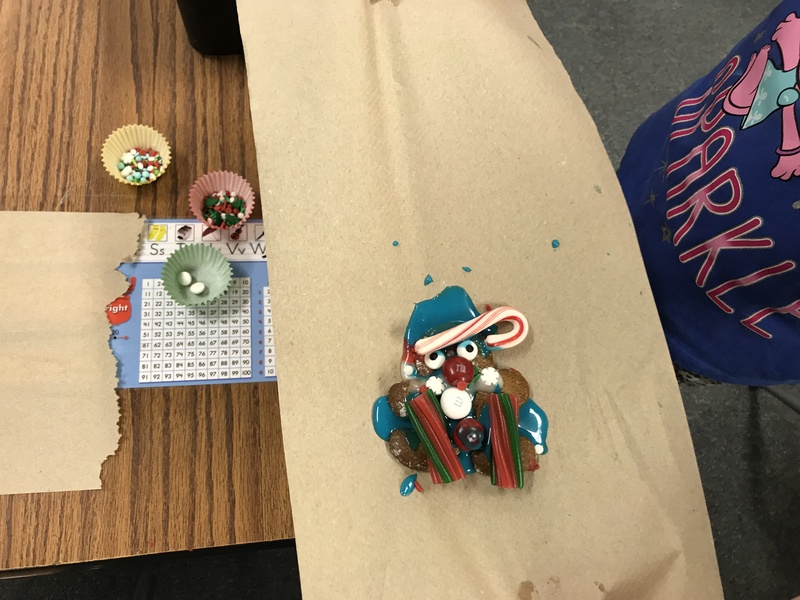 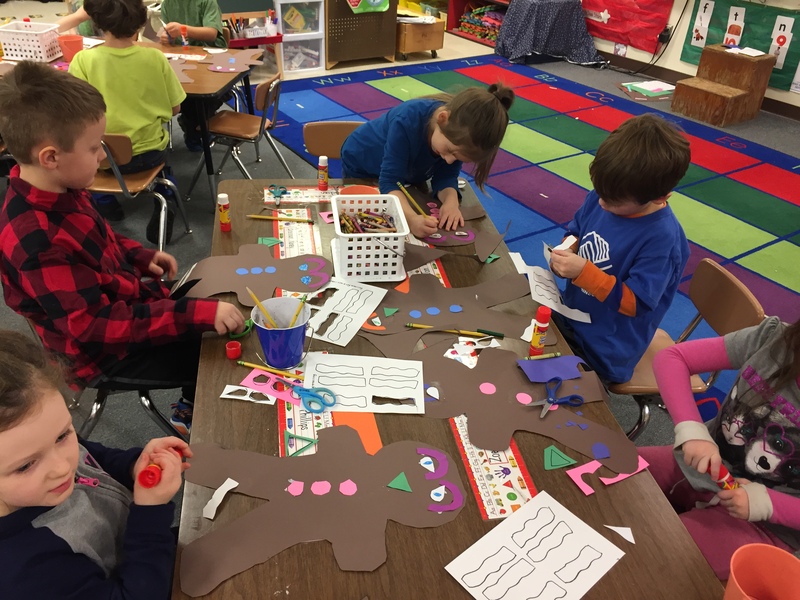 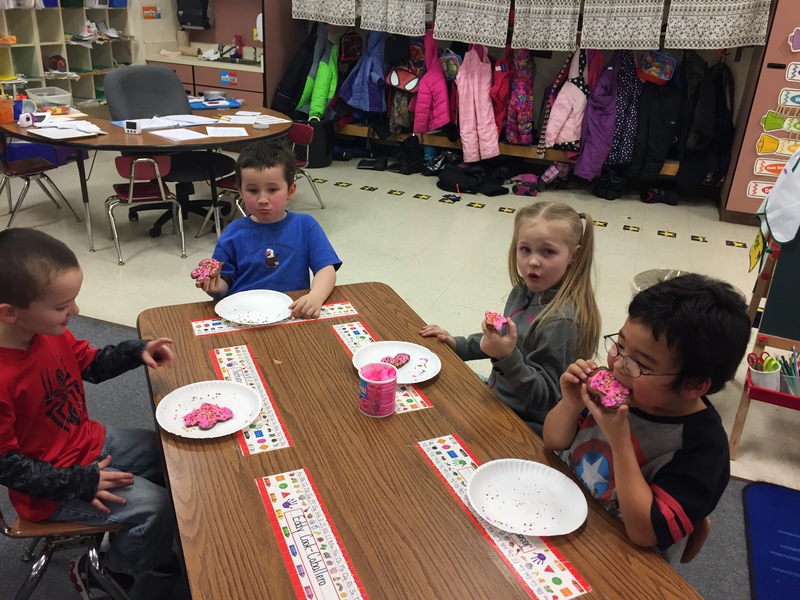 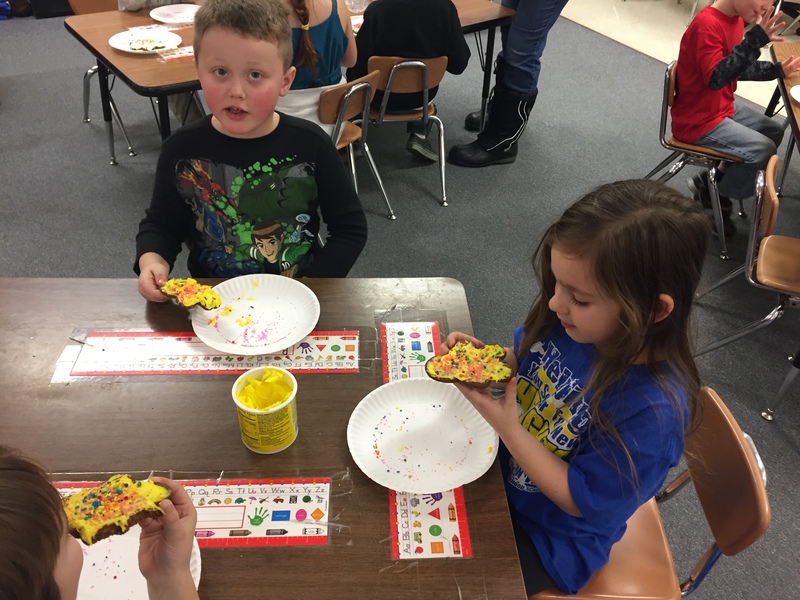 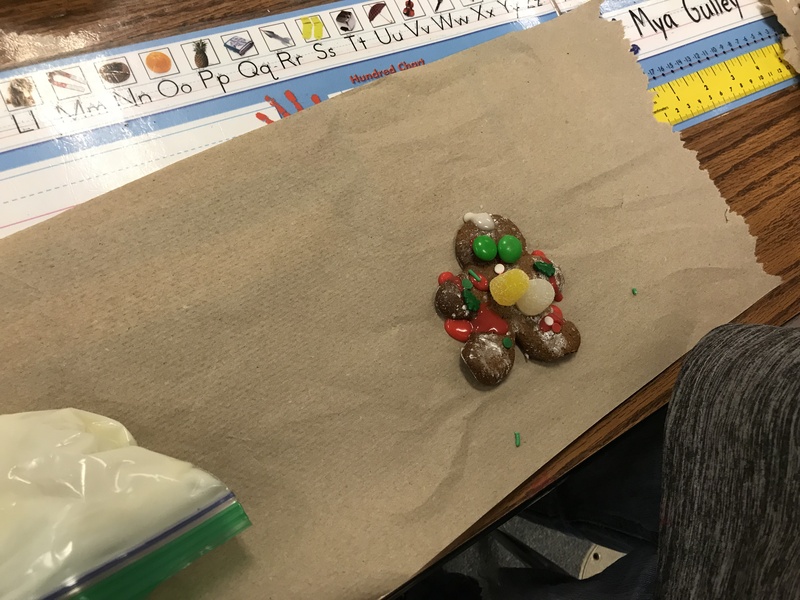 On Friday to finish up our gingerbread unit we baked gingerbread men. 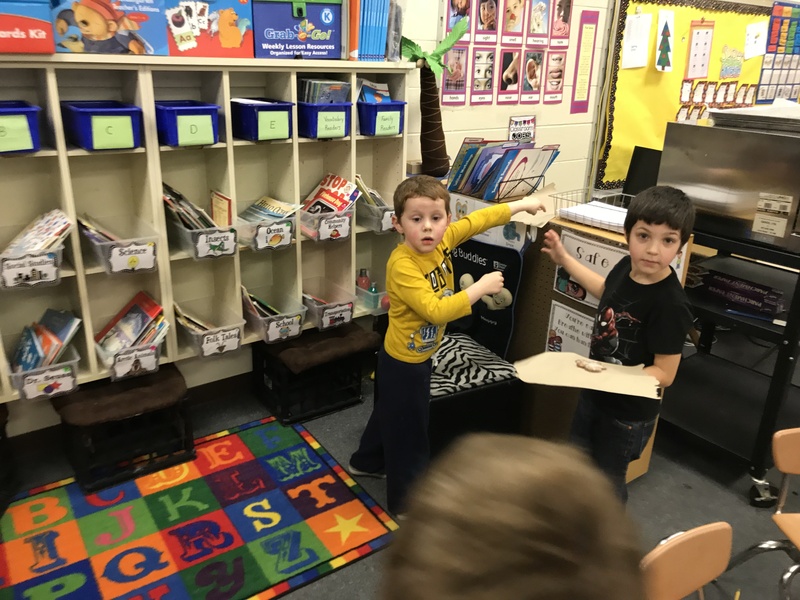 When students came back they had ran away and the class had to find them. 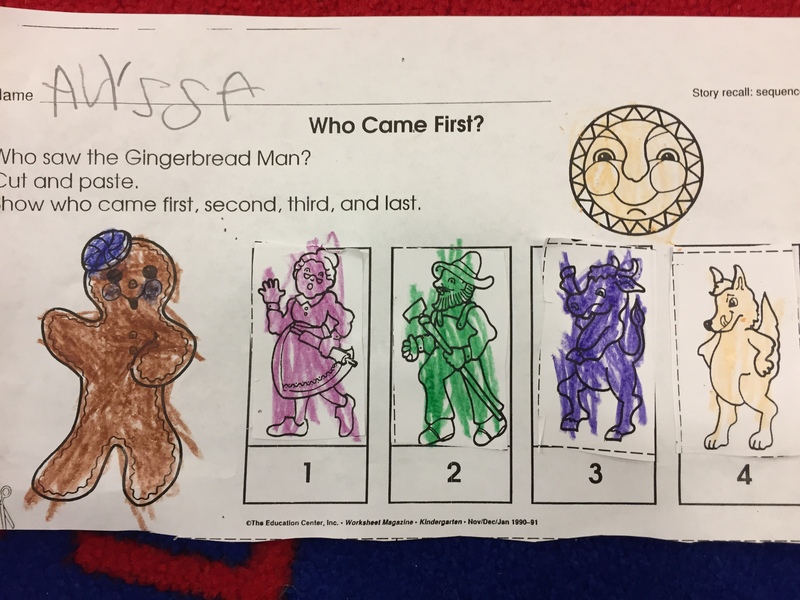 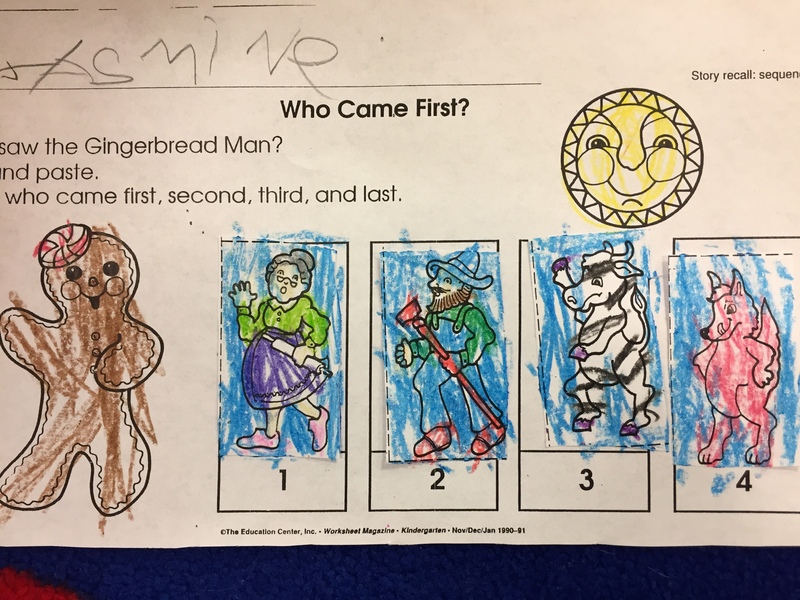 Once they found their gingerbread men they decorated them and ate them. 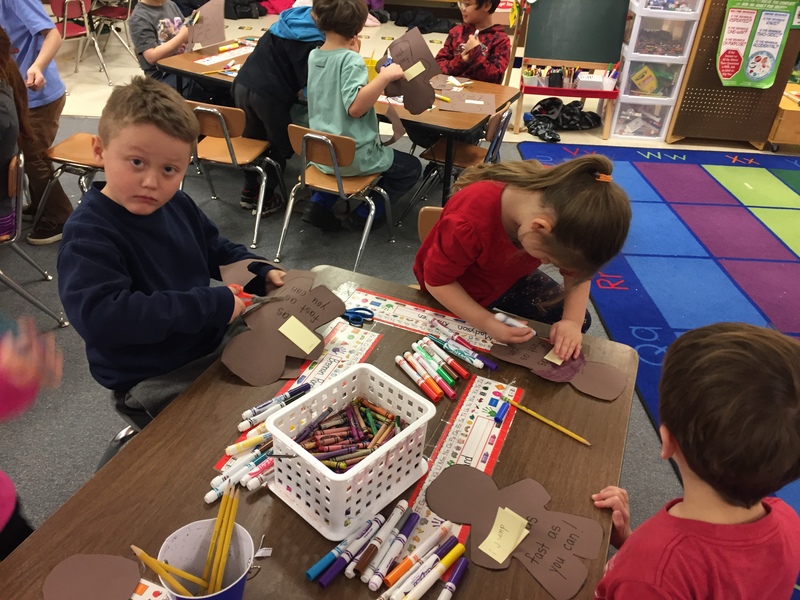 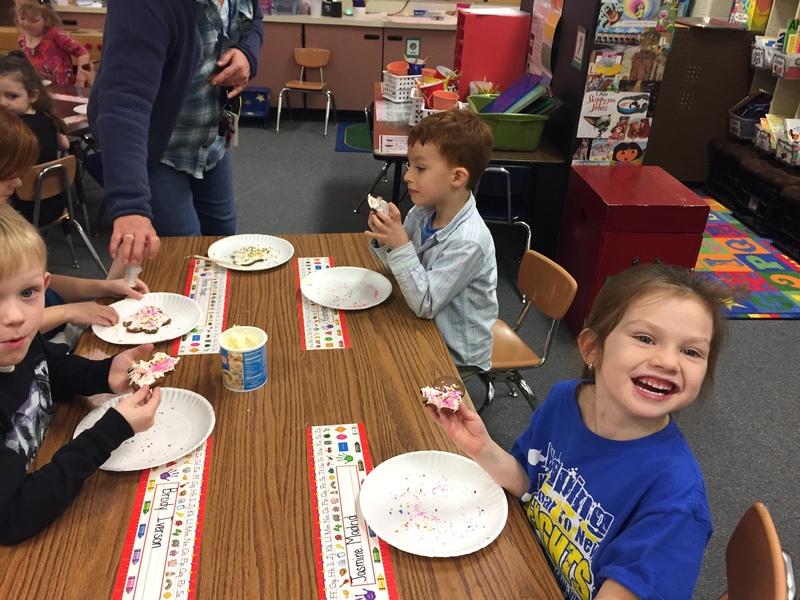 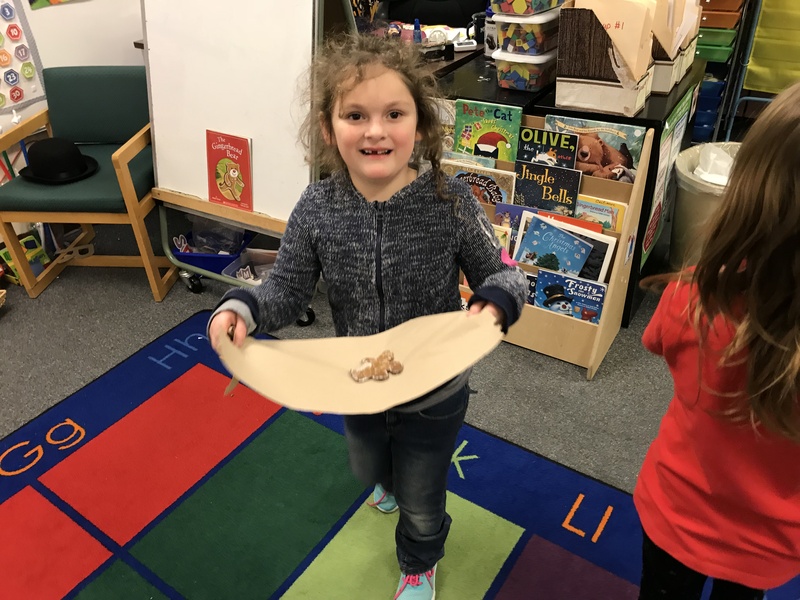 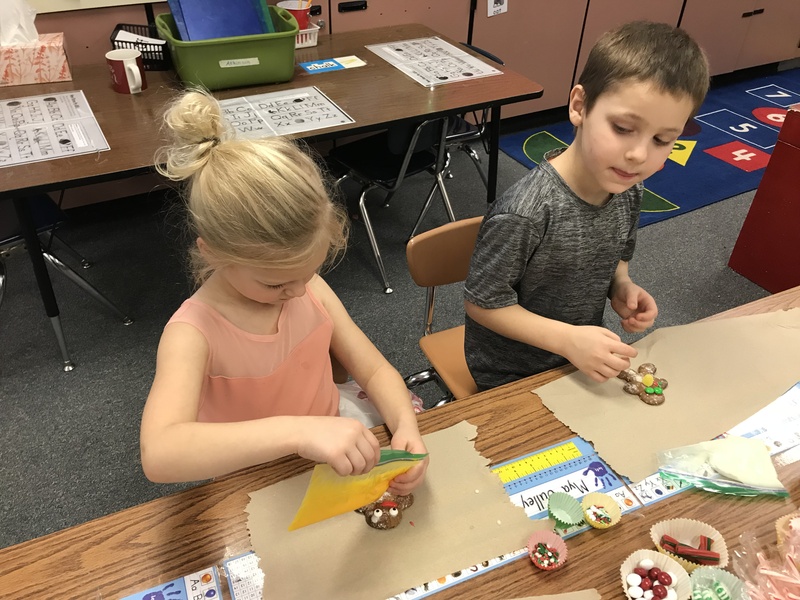 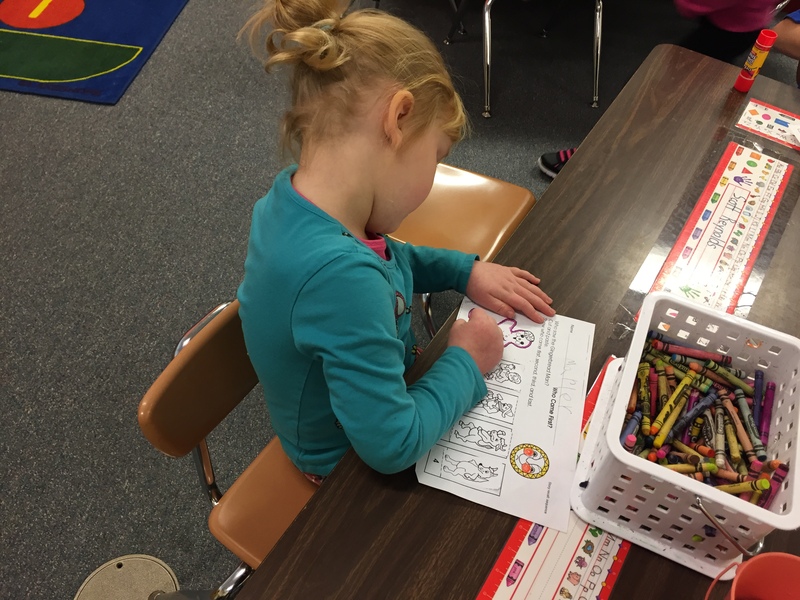 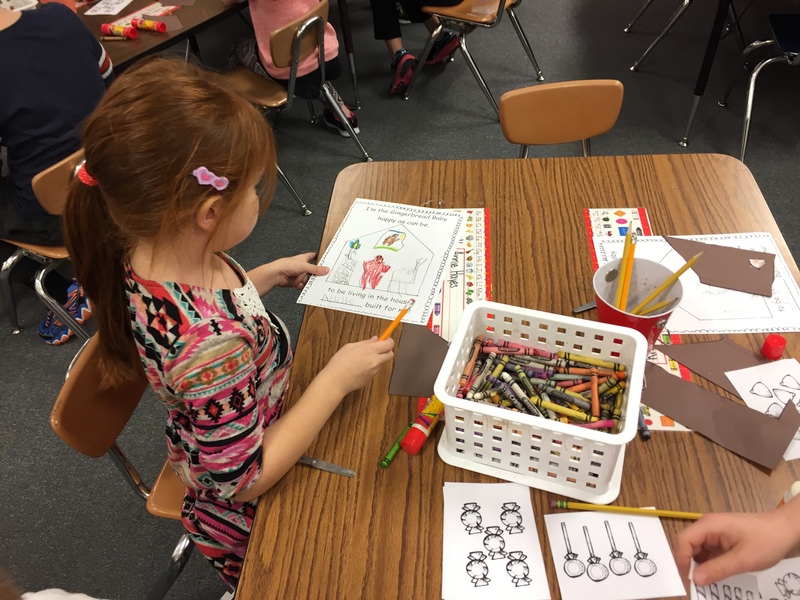 The whole week we read several different gingerbread stories and we discussed differences and similarities in the stories. 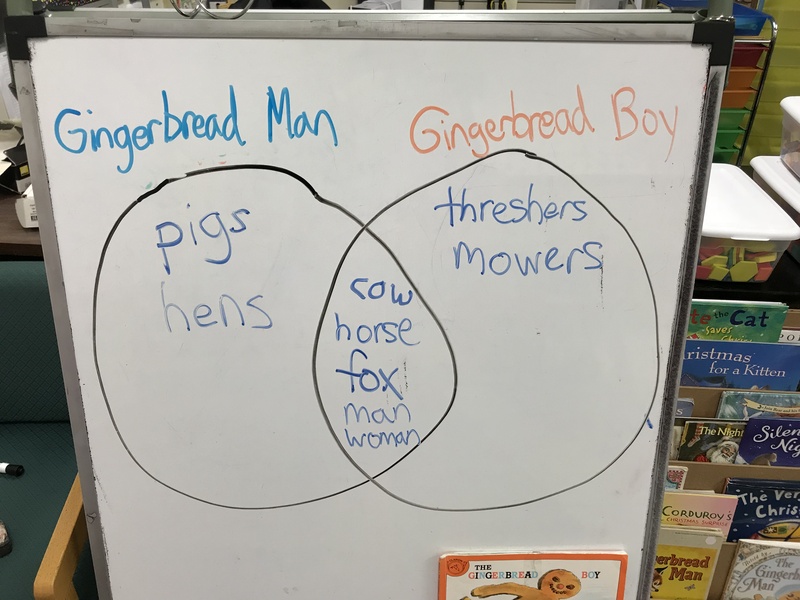 We read Gingerbread Man and Gingerbread Boy and filled out a Venn Diagram to compare and contrast the different characters of the stories. 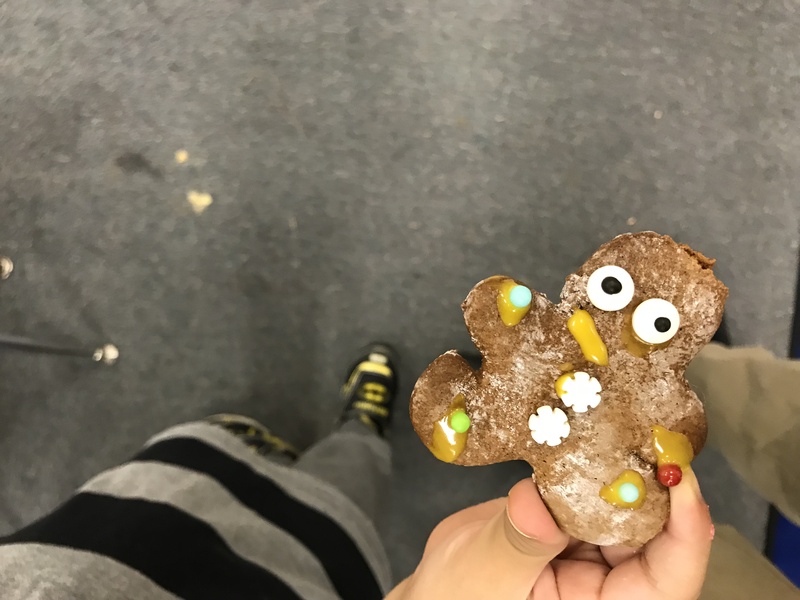 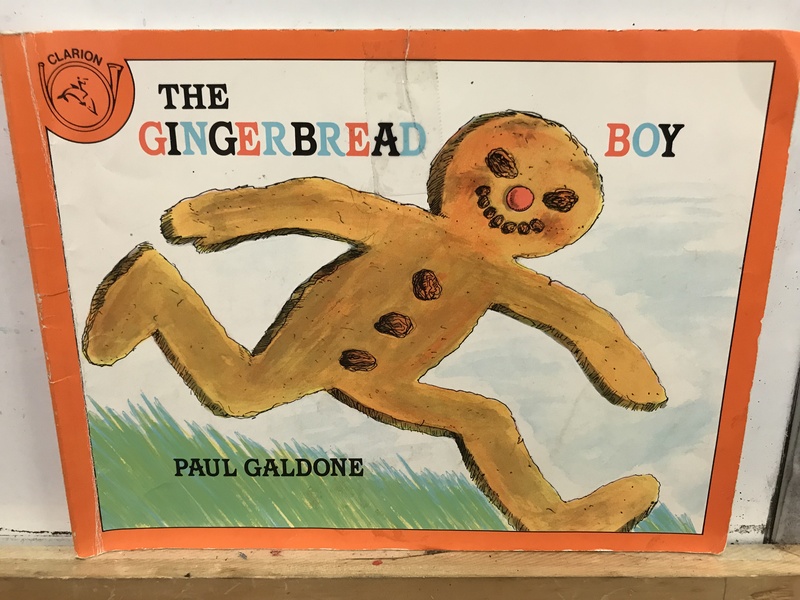 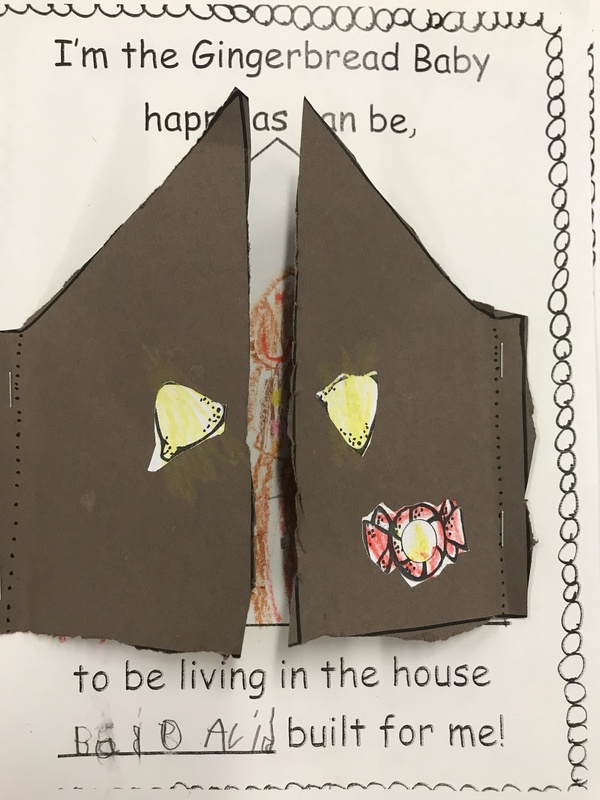 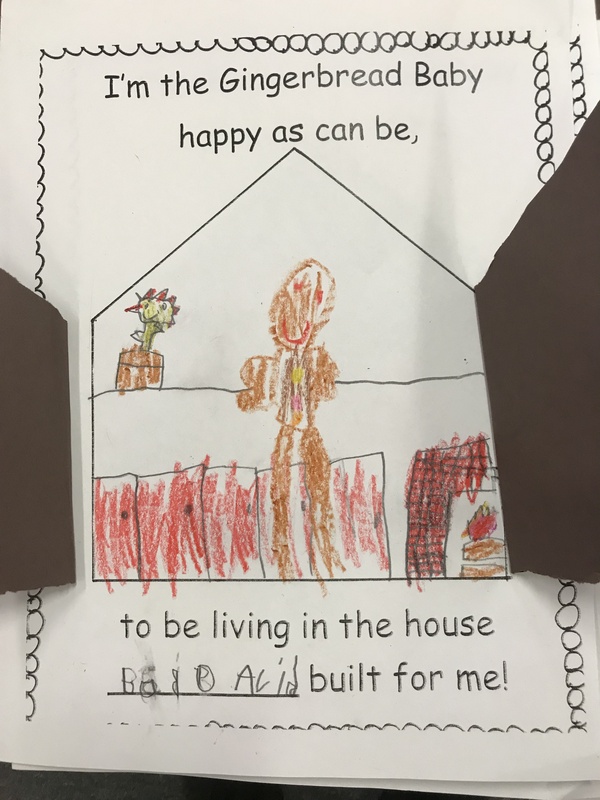 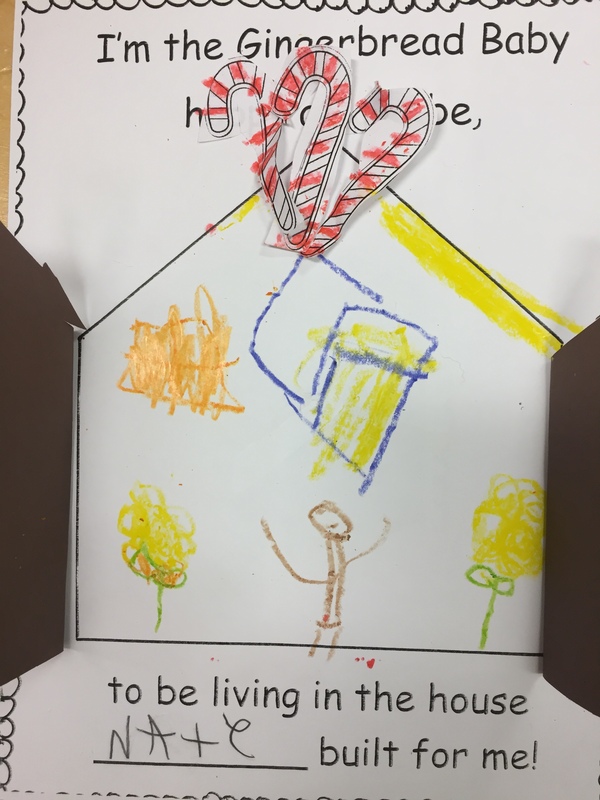 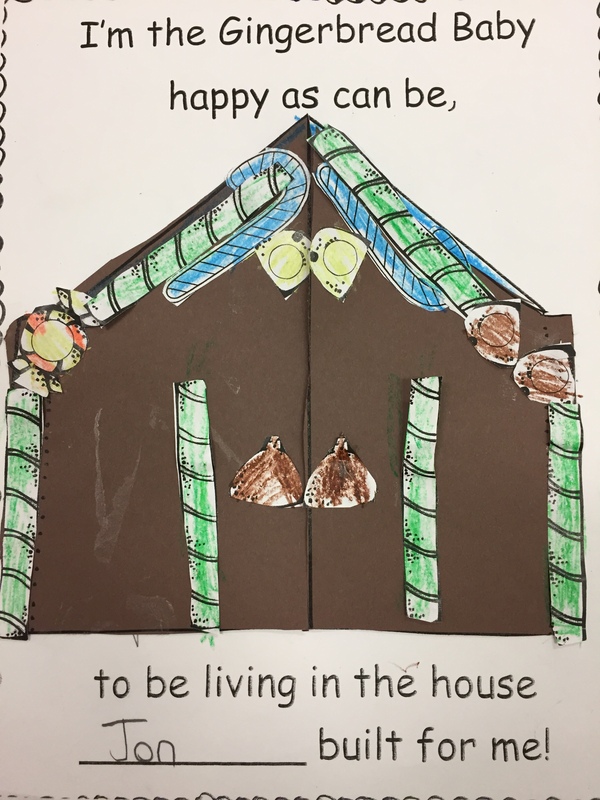 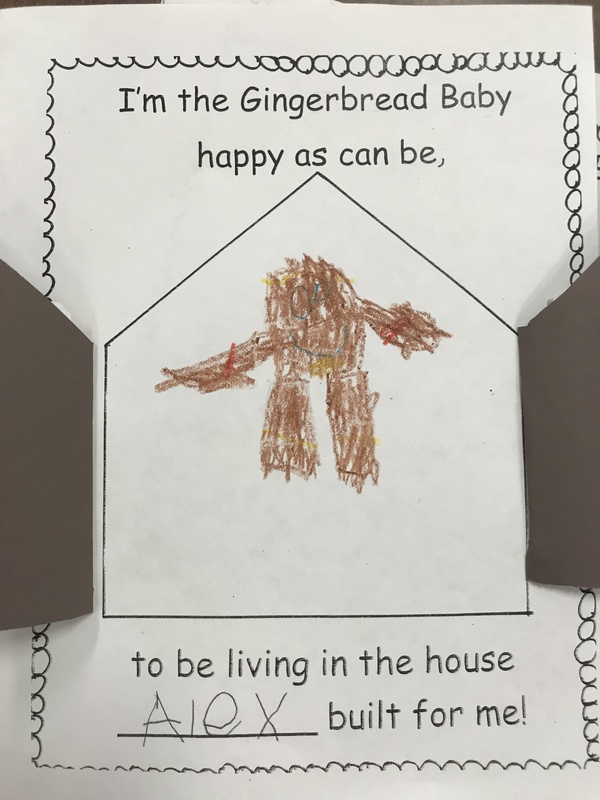 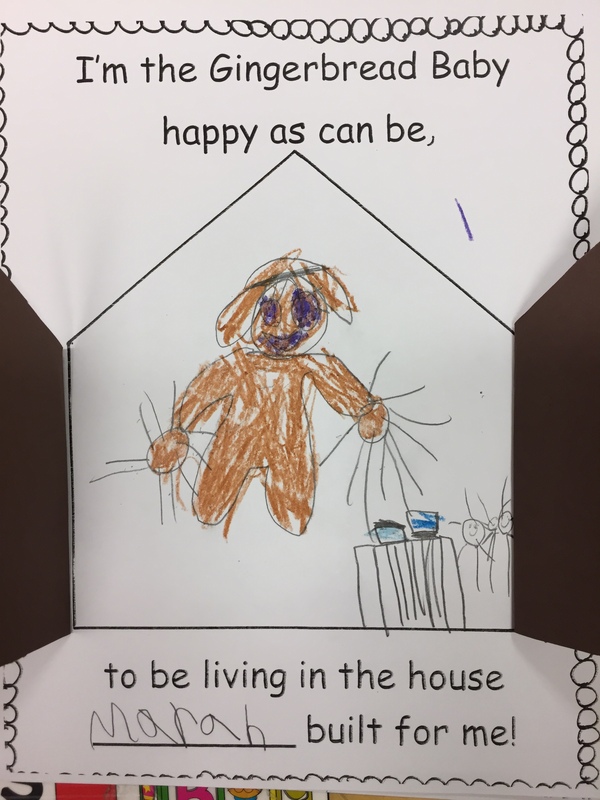 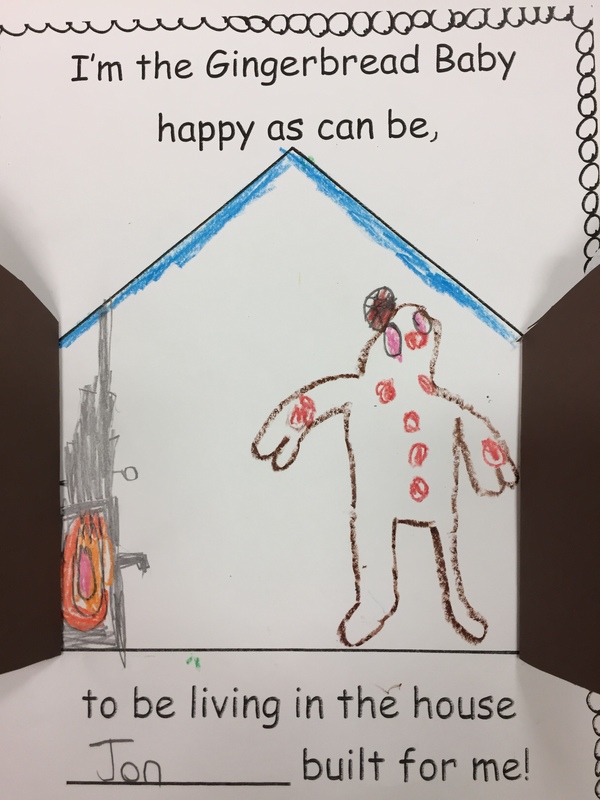 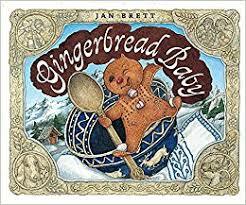 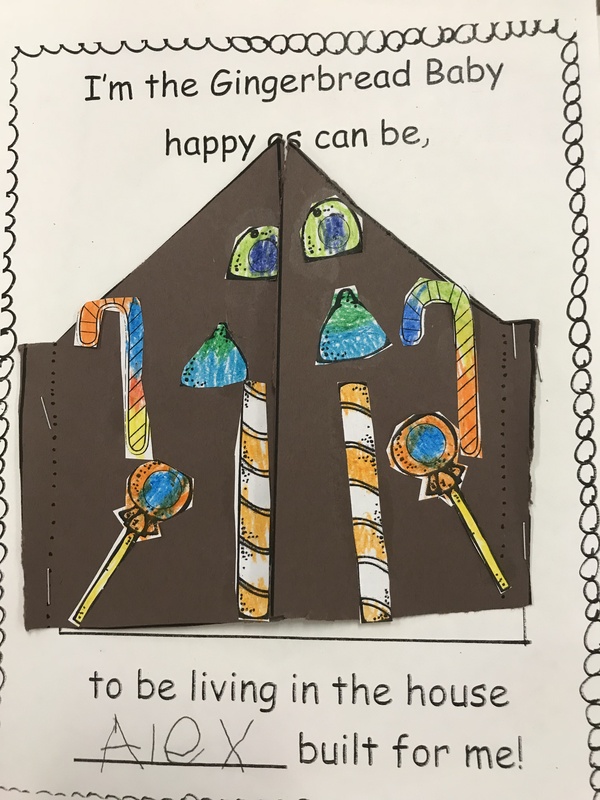 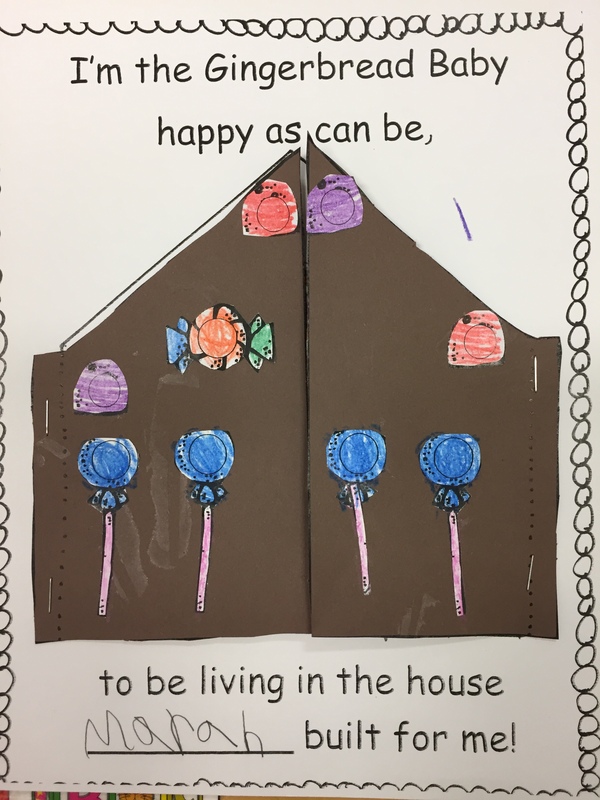 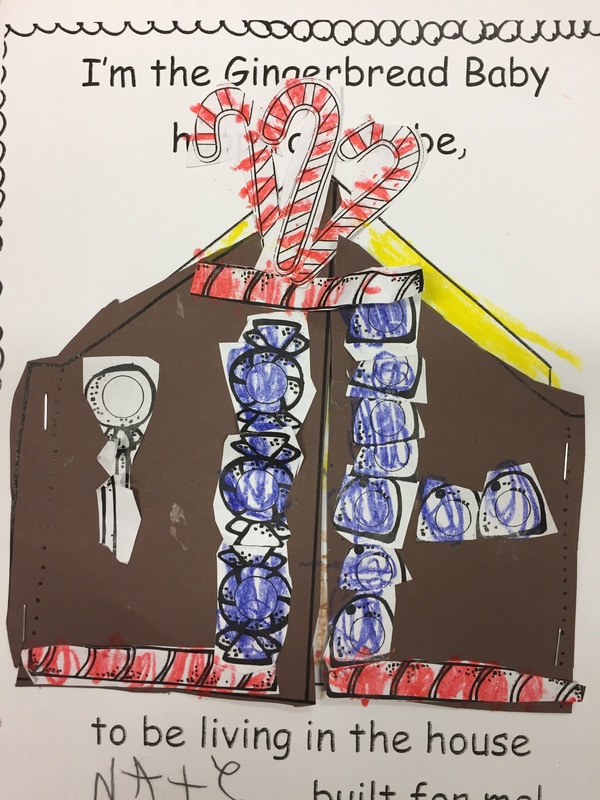 On Thursday we read Gingerbread Baby and discussed how the ending is different where the Gingerbread Baby doesn’t get eaten but has a house built for him by Matti. 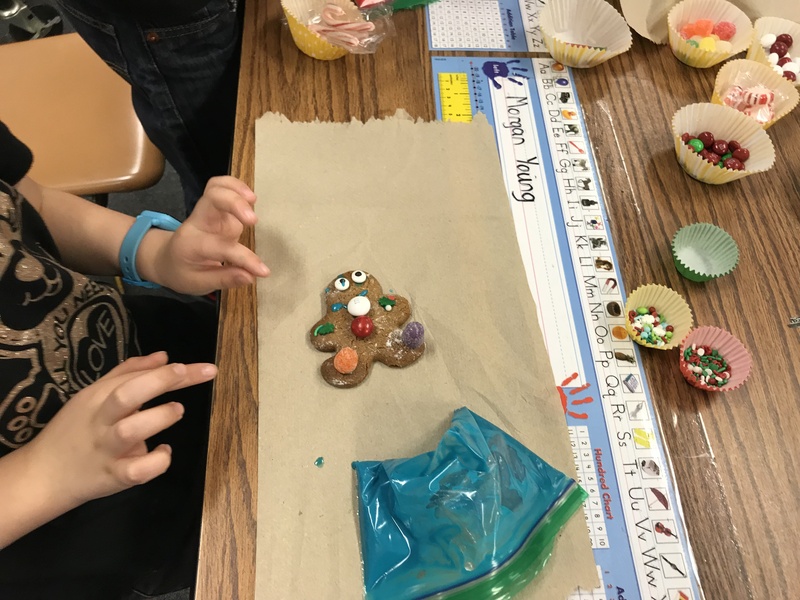 Then we created houses for our own gingerbread babies. 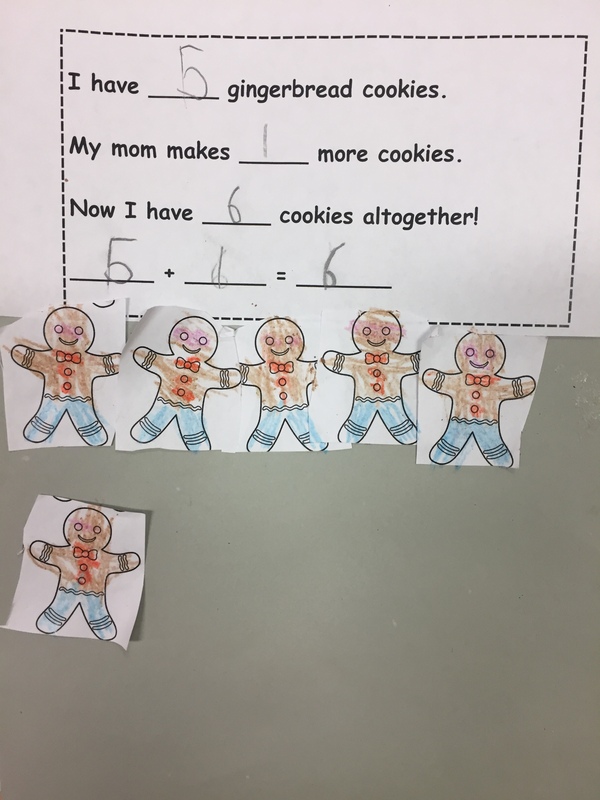 You can buy an updated version of this activity here. 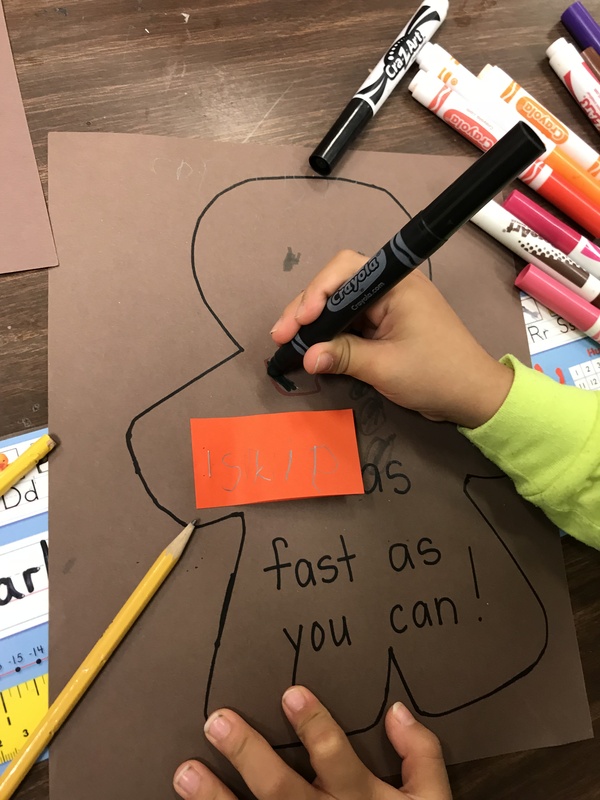 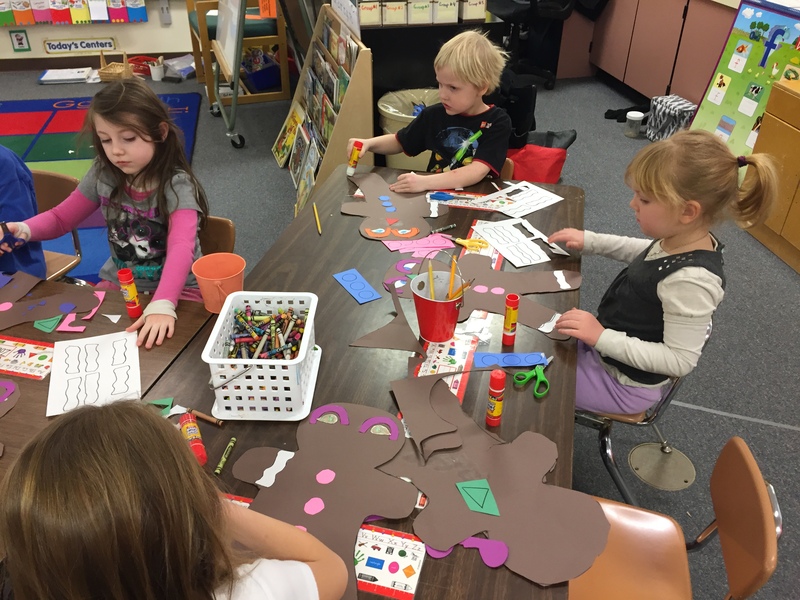 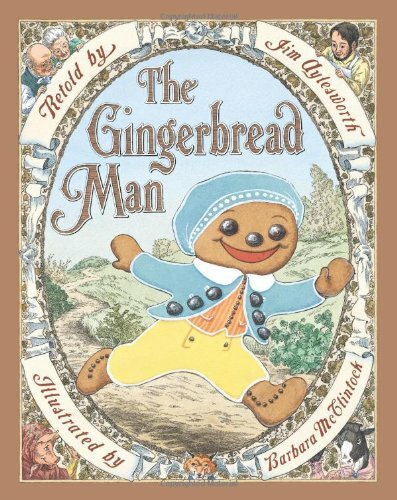 This week we read many different gingerbread stories (Gingerbread Man, Boy, Baby, Bear, etc). 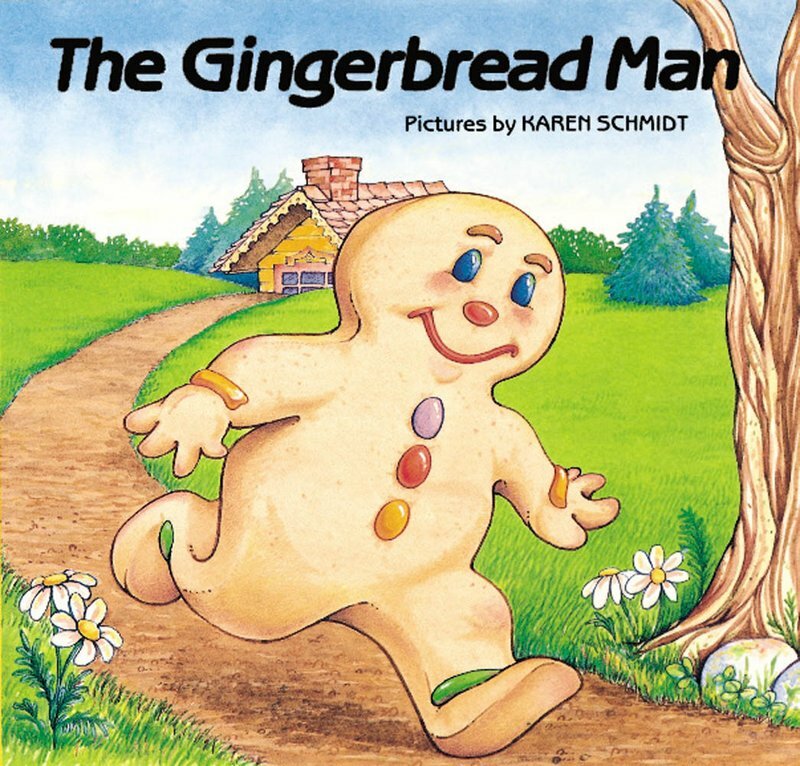 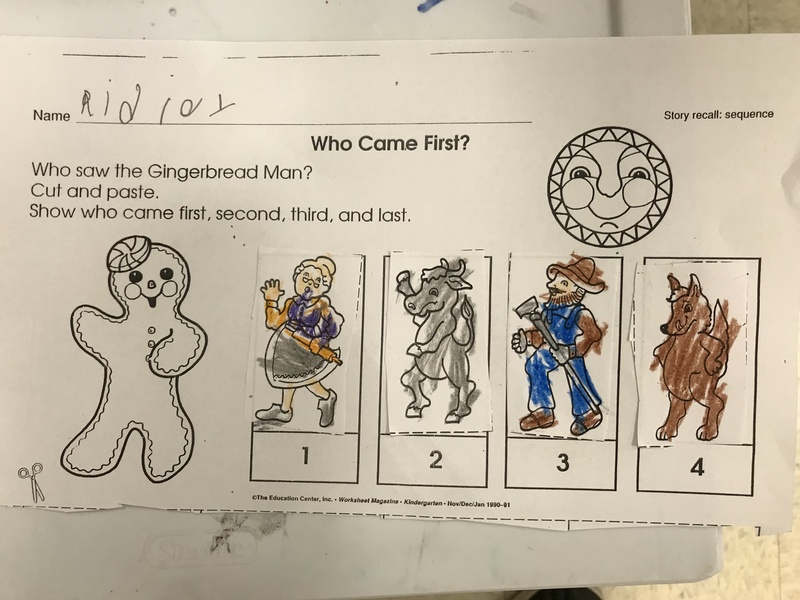 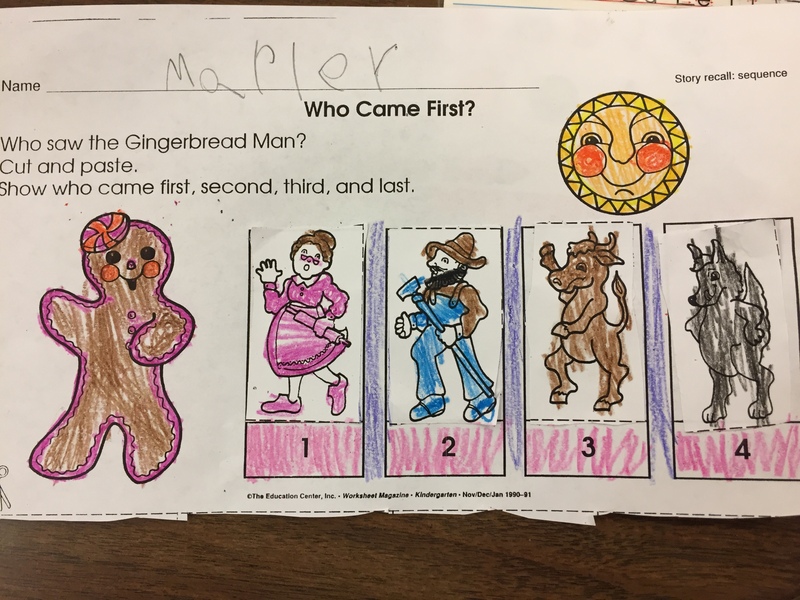 The first story we read was the classic version Gingerbread Man. 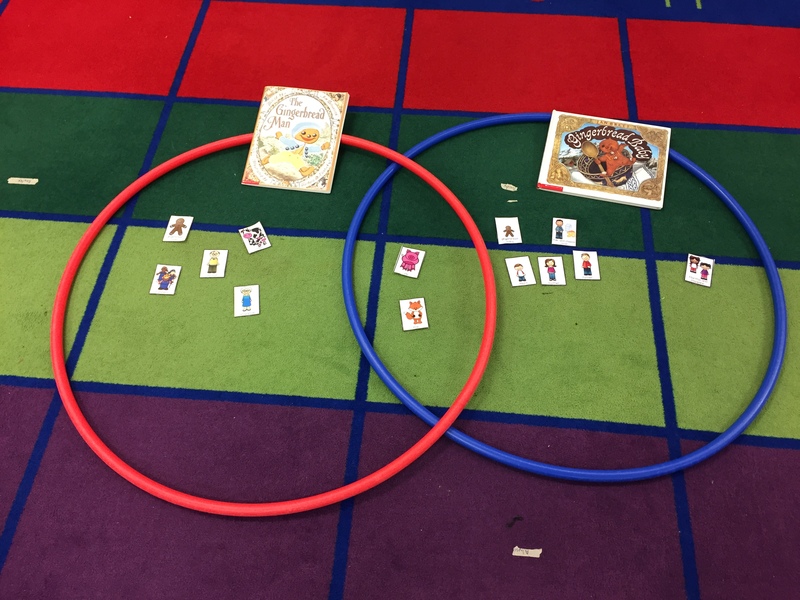 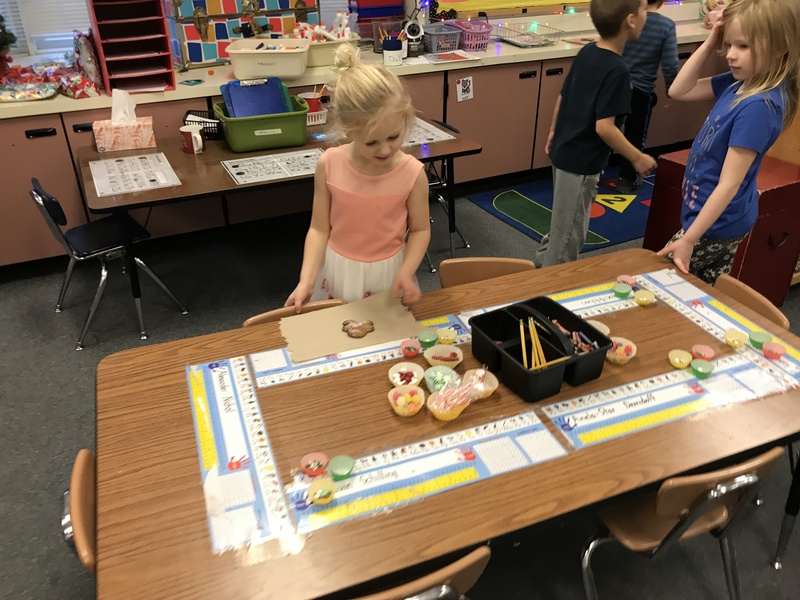 We retold the story using character cards and then did a cut and paste activity that showed the correct sequence of the story. 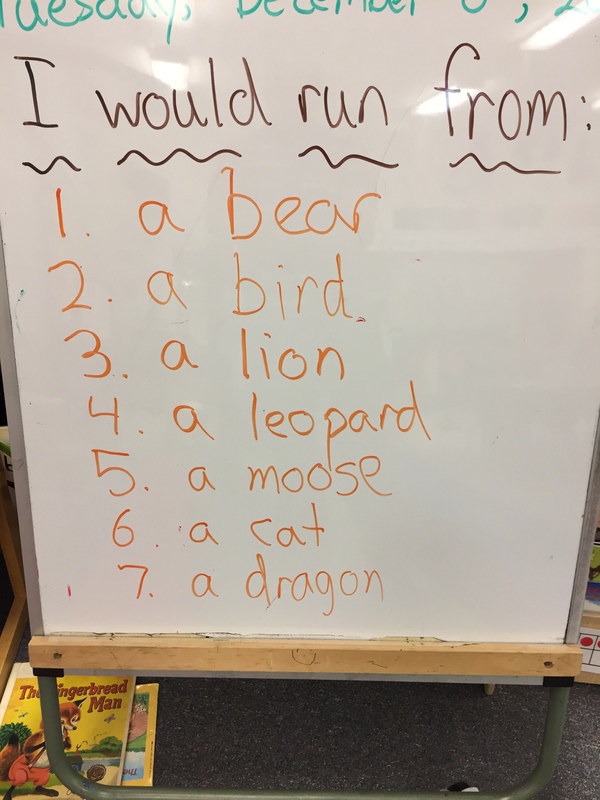 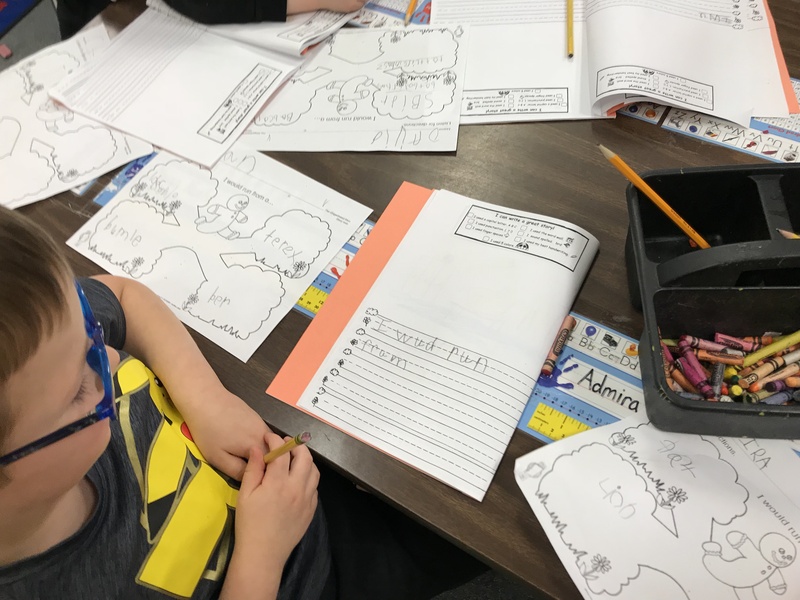 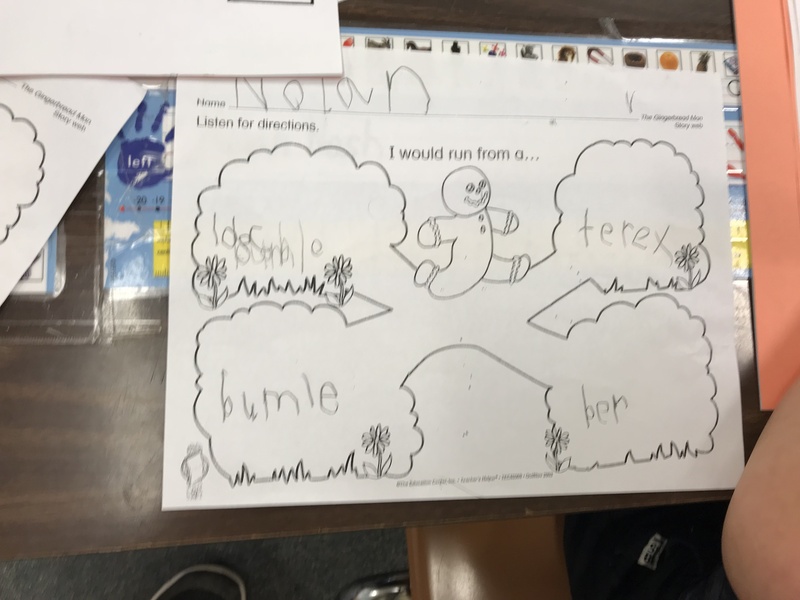 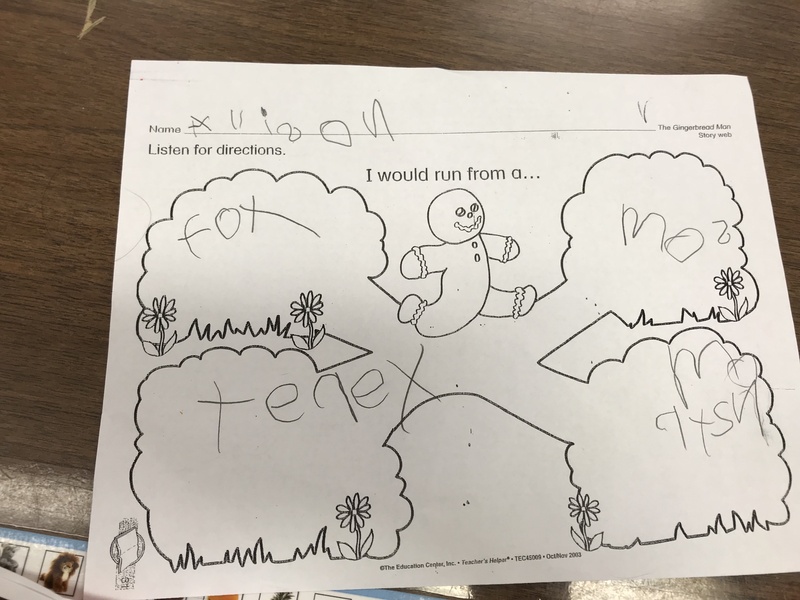 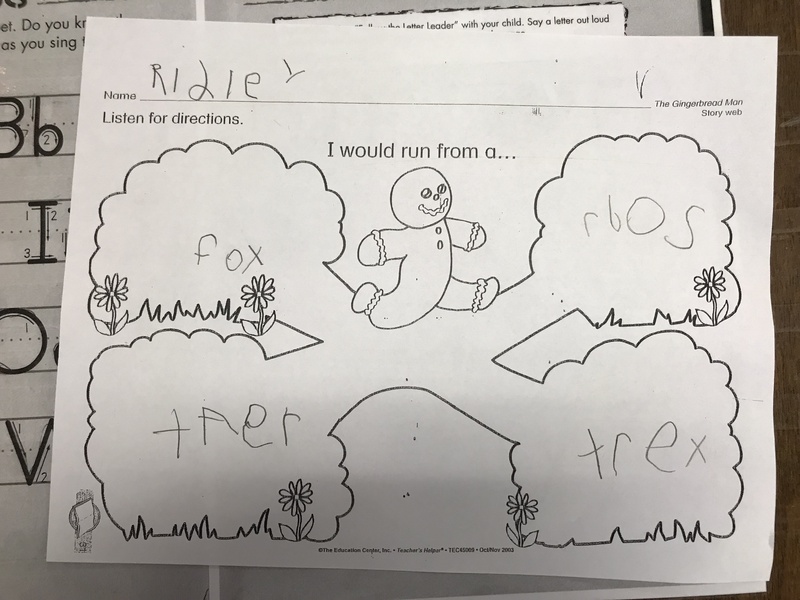 Then we brainstormed things that are scary to us and filled out a web thinking map answering things that we would run from. 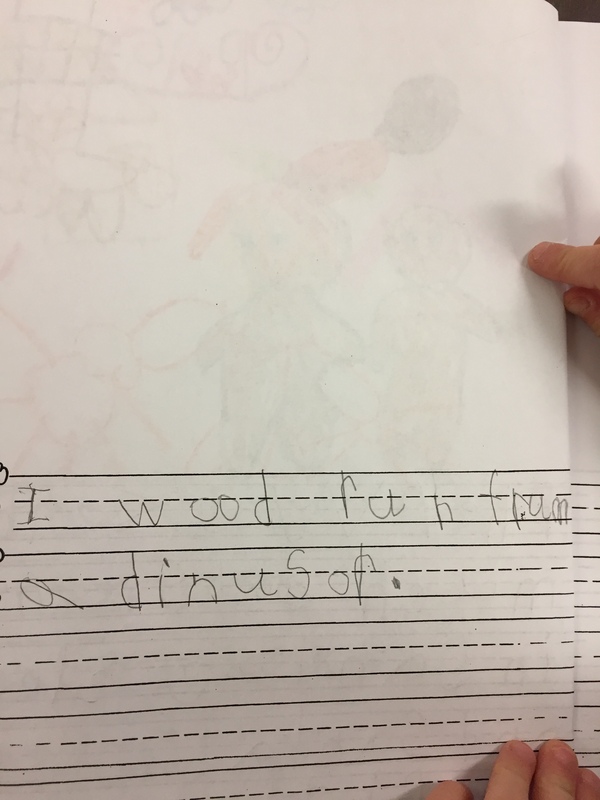 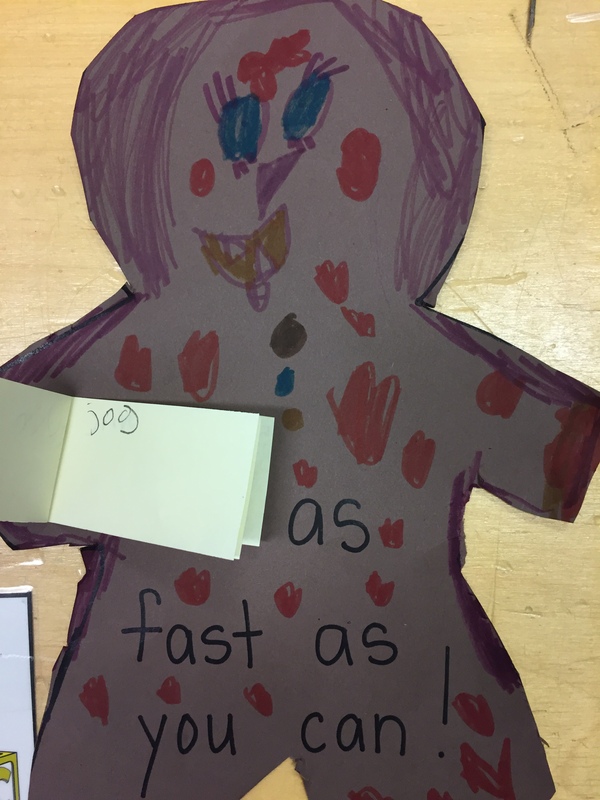 We then took our brainstorming, picked one thing that was the scariest and wrote about them. 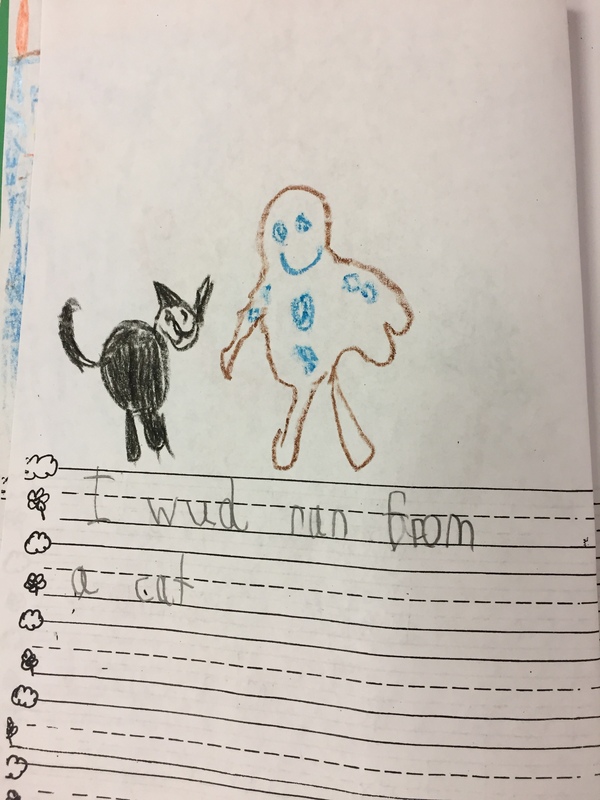 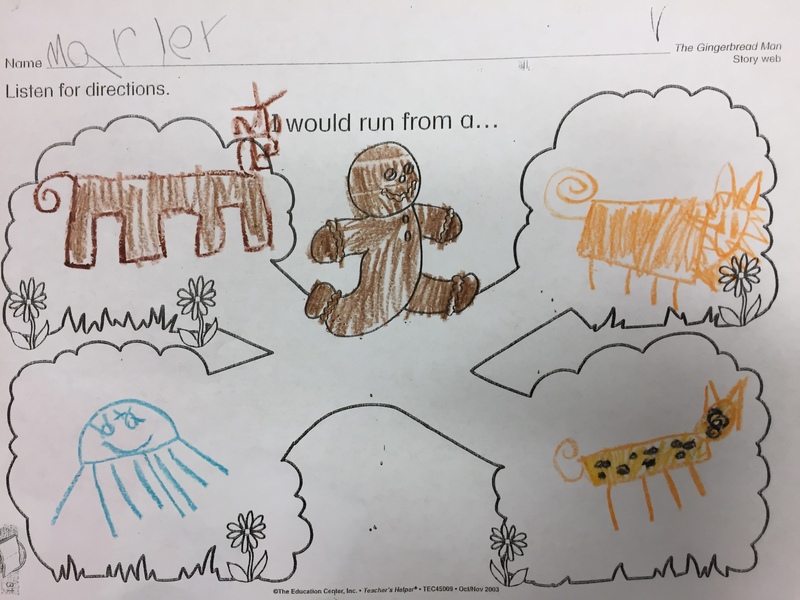 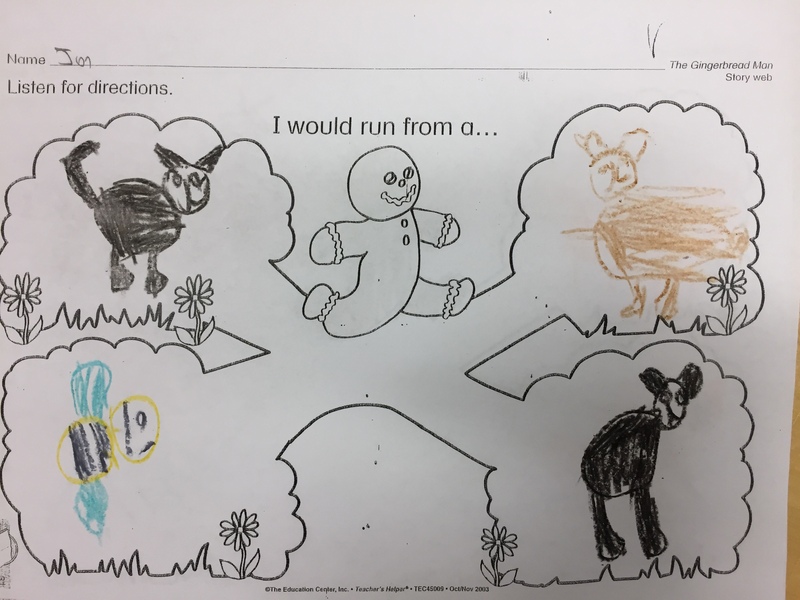 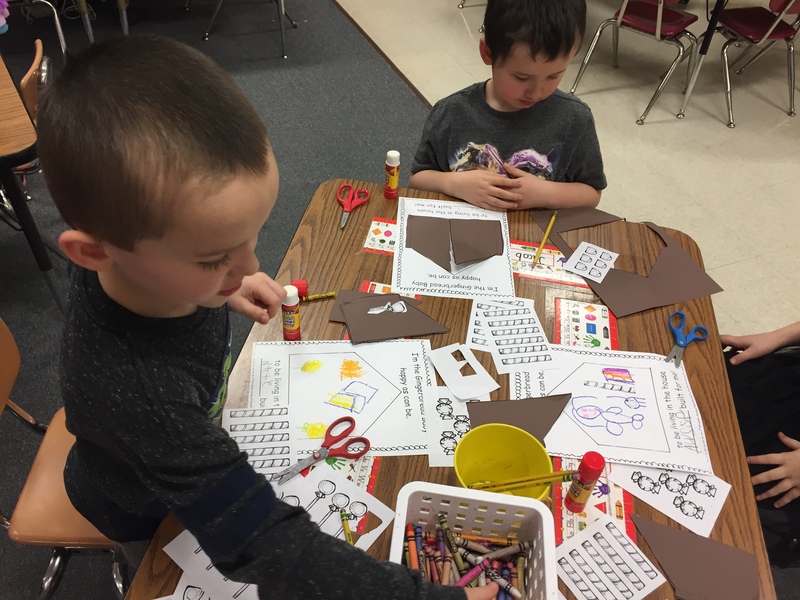 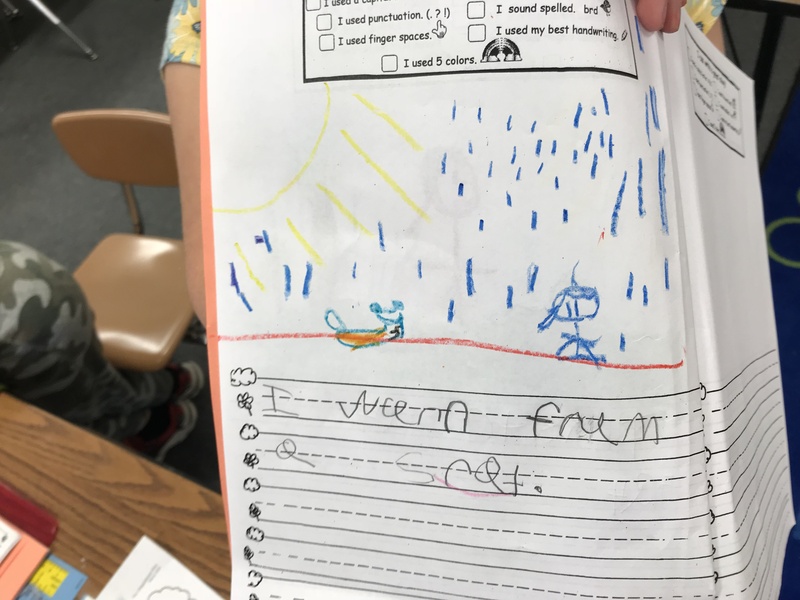 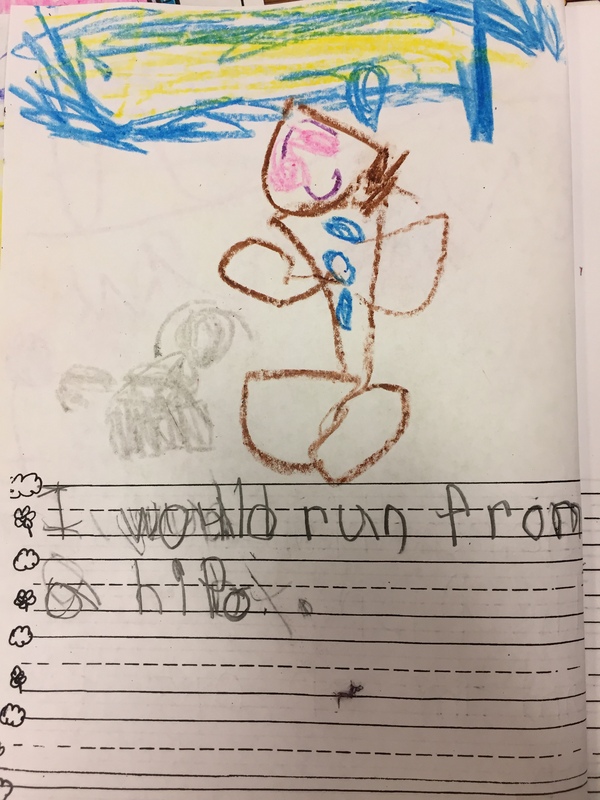 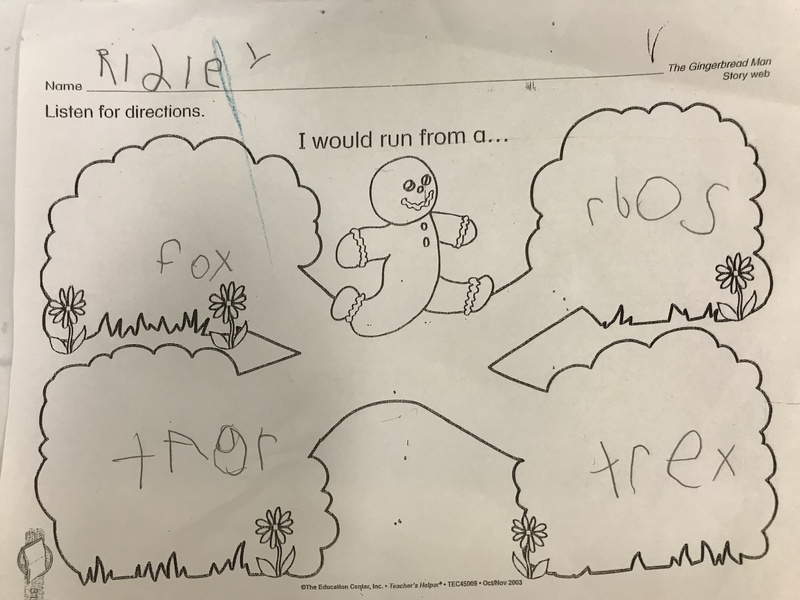 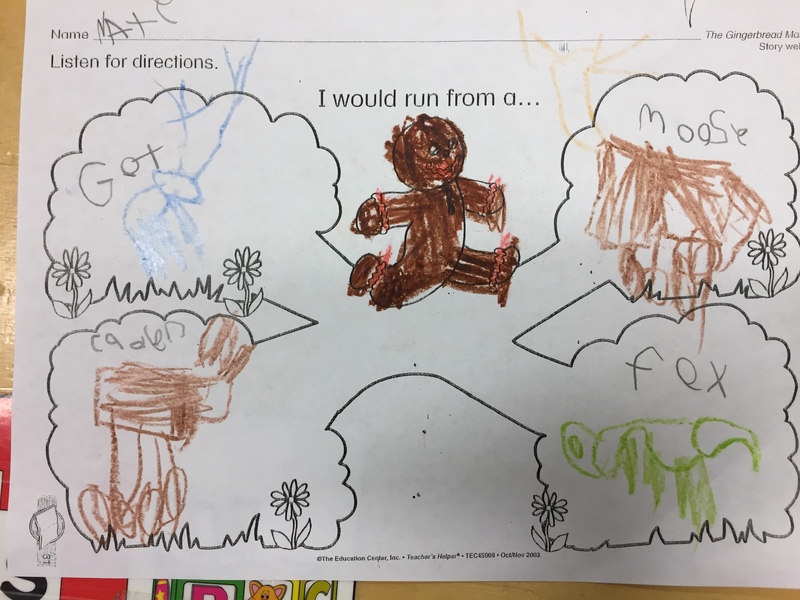 The next day we looked at different ways to write the story of The Gingerbread Man. 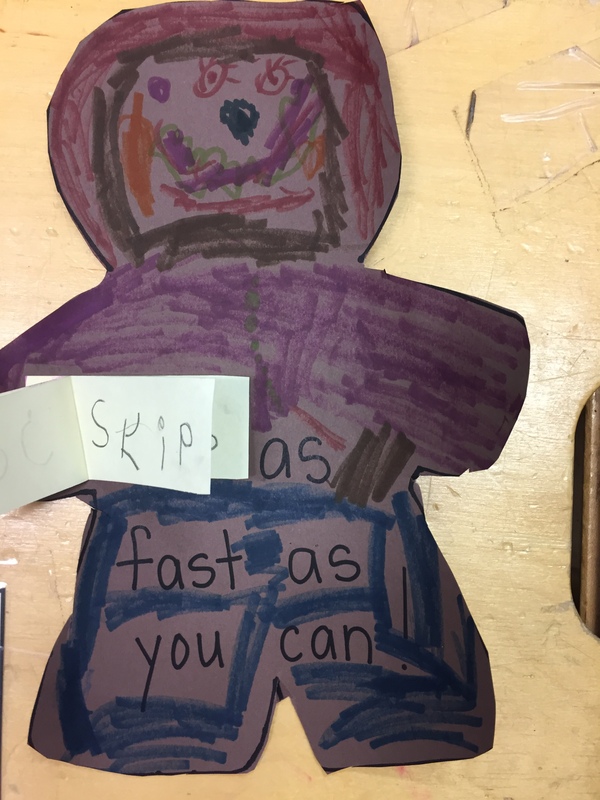 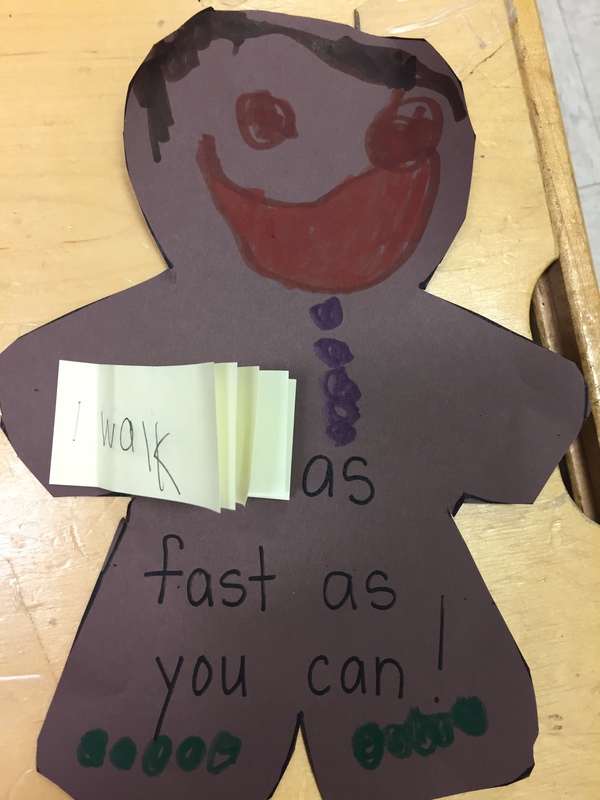 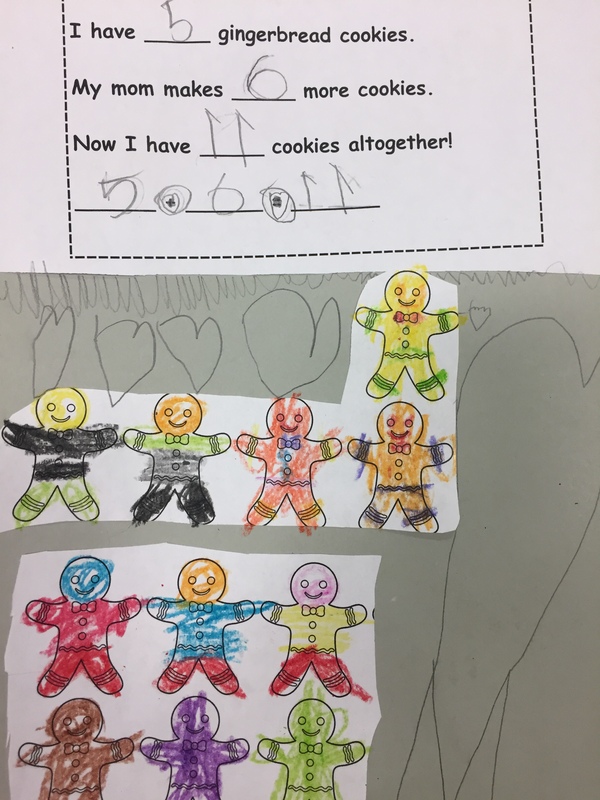 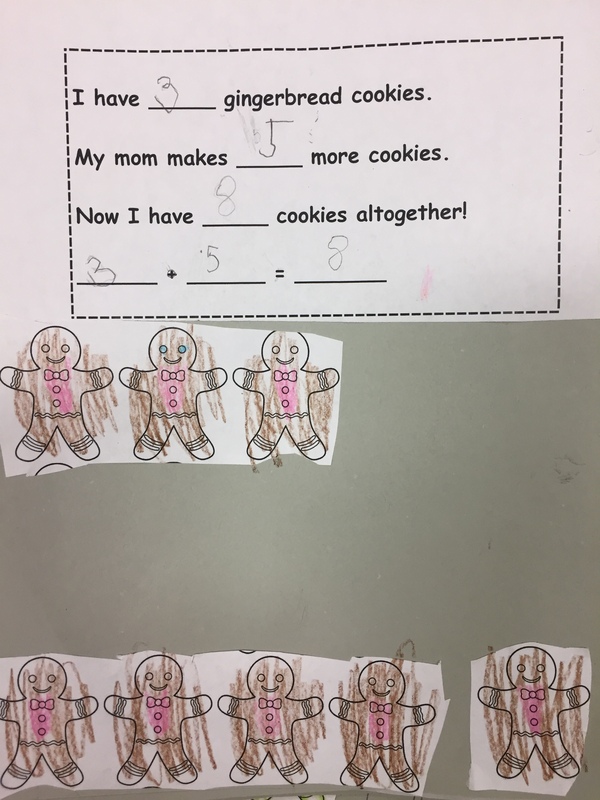 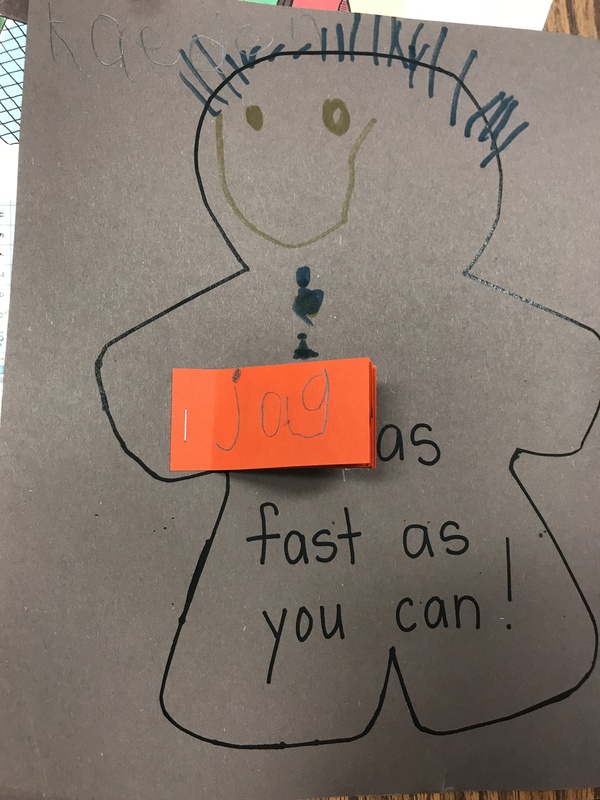 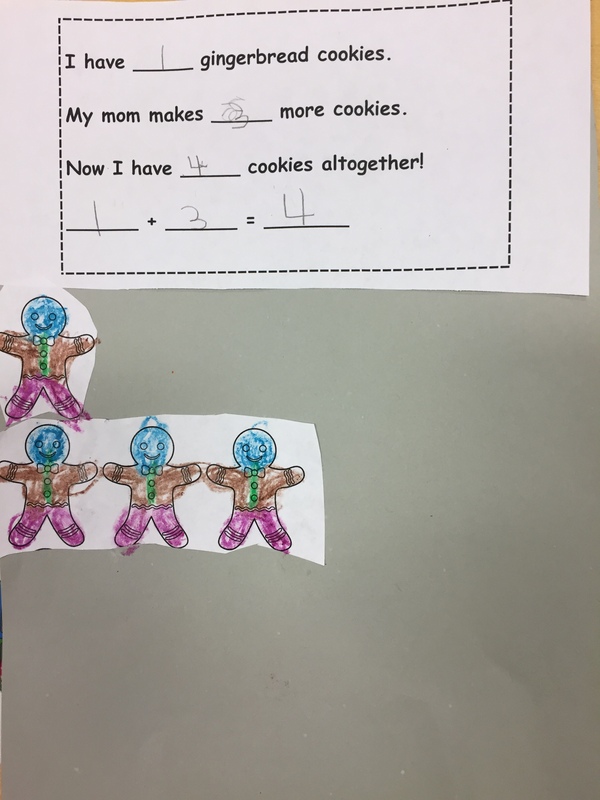 We made a list of different action verbs and then made gingerbread men with a mini verb booklet.